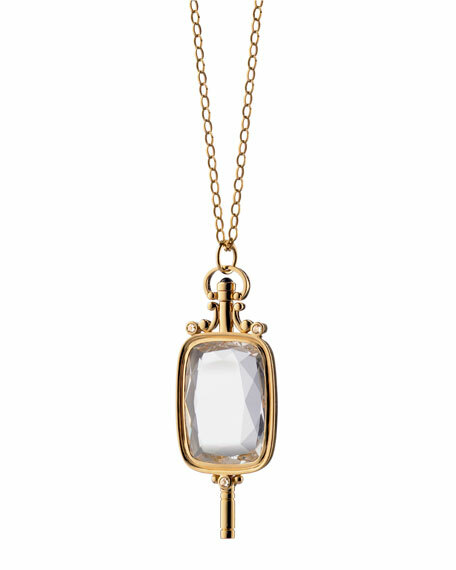 Inspired by vintage pocket watch keys that men used to wind their pocket-watches, this 18K Yellow Gold style features a center rock crystal with diamond accents on a 32" small open link chain. Watch key pendant with faceted rock crystal, pave diamonds, and small blue sapphire cabochon. 0.064 total diamond carat weight.